30 hours per week, fixed-term to 31 March 2020. Hours to be worked flexibly Monday to Friday. CVs will not be considered. Link is an equal opportunities employer and we welcome applications from all sectors of the community. Our offices are fully accessible to wheelchair users and we will interview all disabled candidates who meet the essential criteria for the post. 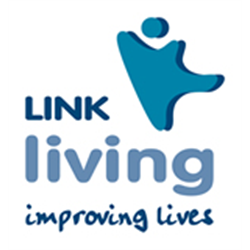 LinkLiving is a not-for-profit organisation and Scottish charity. We have been providing specialist services to support health, wellbeing, and community inclusion for over 25 years. We are committed to positively supporting people to overcome the negative impacts on their lives of ill-health, poverty, inequality and isolation. We work to make a positive difference to the lives of people who are often excluded from society due to vulnerabilities including homelessness, mental health issues, physical health issues and social isolation. We provide care, support and employability services to over 1,000 people a year. We’re seeking to recruit a strong leader to deliver high quality, person-centred services to people experiencing mental health issues. You don’t need to have a qualification in this field - if you share our values, this could be the role for you. The LinkLiving Comely Green service comprises a well-established core and cluster development which supports 15 individuals as well as a visiting support service for people in the local area. The service works closely with the Community Rehabilitation Team at the Royal Edinburgh Hospital and Community Mental Health teams in the ongoing monitoring of medication and mental health. - Engaging with people and professionals who have an interest in their welfare. We work from a recovery-based perspective, which means we enable the people we support to live a good life - as defined by them - with or without symptoms. We use conversations and plans to help people identify their long-term ambitions and short-terms goals and develop strategies for achieving them. We recognise the importance of the home as the base from which people can work towards recovery. We provide support in all aspects of maintaining a home, with an emphasis on developing people&apos;s skills to look after and sustain their home independently. We also recognise the role which communities can play in recovery. We connect the people we work with appropriate sources of local support and with networks and organisations which deliver social benefits, including a sense of belonging, community and purpose. We appreciate that the mental health problems experienced by the people we work with can sometimes have a significant adverse impact on their lives, so we take time to help them to recognise, understand and manage their symptoms. At all times, our support is flexible, person-centred and responsive to the changing needs of the people we work with. The purpose of the job is to provide leadership, support and supervision to a team of support workers whilst ensuring that objectives and targets are achieved, the service to individuals is co-ordinated and that appropriate policies and local procedures are in place. The Team Leader is the first line manager and is responsible for ensuring the service is of high quality which meets all internal and external standards and reporting requirements. The Team Leader will combine a thorough knowledge of social care practice and processes with first class leadership, staff support and development skills. Working closely with the Service Manager, the Team Leader will use their extensive knowledge and experience in mental health provision to ensure the delivery of high quality, person-centred services to people experiencing mental health issues. They will also be expected to establish and develop effective working relationships with partner agencies and to actively promote opportunities for partnership working in order to deliver improved outcomes for the people we support. 37.5 hours per week from Monday to Friday. Occasional flexible working will be required, as and when needed, to meet the needs of the people we support and our service. You will also be required to work public holidays. Successful applicants will be required to register with SSSC within 6 months of their start date. For further information on the main position accountabilities and a comprehensive list of the essential criteria required for this post, please refer to the Job information Pack below. LinkLiving&apos;s Comely Green Health Service is a visiting housing support service, delivered by teams which work across Edinburgh. As well as enabling people affected by mental health problems to live as independently as possible in their own homes, we engage with a range of statutory and voluntary organisations to ensure the people we work with get the support they need. * Engaging with people and professionals who have an interest in their welfare. We have an exciting opportunity for ambitious and motivated Support Workers to join our team and improve the lives of people supported by our Edinburgh Mental Health Service. In this role, you will develop effective relationships with people affected by a range of mental health problems, supporting them to cope in difficult times and working towards recovery and a good life. You will provide emotional, practical and social support to enable people to live as independently as possible and make informed choices in all aspects of their lives. Multi-agency working is an important part of the job. You will develop positive relationships with a range of partners, including the NHS (in the community and in hospitals), social work and voluntary organisations. By understanding the assistance they offer and maintaining strong links with partner agencies, you will extend the breadth and quality of support available to the people we work with. You will work as part of a team while managing your own workload and being a key worker for some of the people we support. 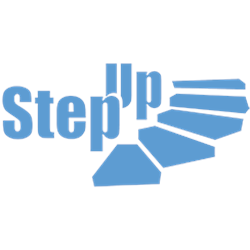 You will take part in regular team meetings and receive regular support and supervision. You will participate in a range of learning and development opportunities to enhance your experience and skills and improve the quality of our service. You will embrace technology to help deliver the best service we can to the people we support. You will be given a laptop and smart phone to access Carista, our integrated social care management system. You will use Carista to create support plans and risk assessments, record support, monitor outcomes and gather feedback from the people you work with. Your will be required to work five evenings per week. Occasional flexible working will be required, as and when needed, to meet the needs of the people we support and our service. You will also be required to work public holidays. - Willingness to work towards and achieve an appropriate qualification recognised by the Scottish Social Services Council (SSSC) - for example, SVQ Social Services and Healthcare at SCQF Level 6. - Ability to meet the standards of care set out in the national Health and Social Care Standards. - Ability to meet the requirements of membership of the Protecting Vulnerable Groups scheme. - An approach which is flexible, practical, proactive and reliable. Successful applicants will be required to register with the SSSC within six months of their start date. For a comprehensive list of the essential and desirable criteria required for this post, please refer to the Job Specification in the Job information available on our online recruitment portal. We provide accommodation, care, employability and support services to over 1000 people each year in Clackmannanshire, Edinburgh, Falkirk, Fife and North Lanarkshire. LinkLiving is part of the Link group of award-winning social enterprises. This post is subject to Protecting Vulnerable Groups (PVG) scheme membership.